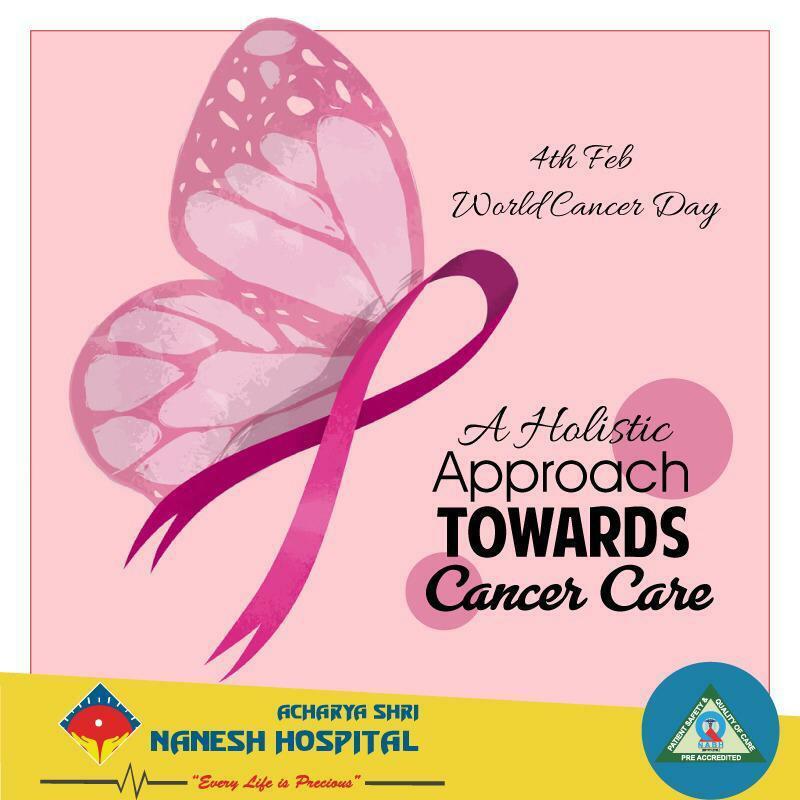 WORLD CANCER DAY 2019 CANCER IS CURABLE IF DETECTED & TREATED EARLY Look for early symptoms of Cancer & Consult a Doctor •	Lump or swelling. •	A sore that doesn’t heal. •	Changes in bladder or bowel habits. •	Ulcer or White/Red patches in the mouth. •	Lump or swelling in the breast. •	Unexplained weight loss. •	A nagging cough or hoarseness. •	A recent change in the wart/mole. •	Unusual bleeding or discharge. 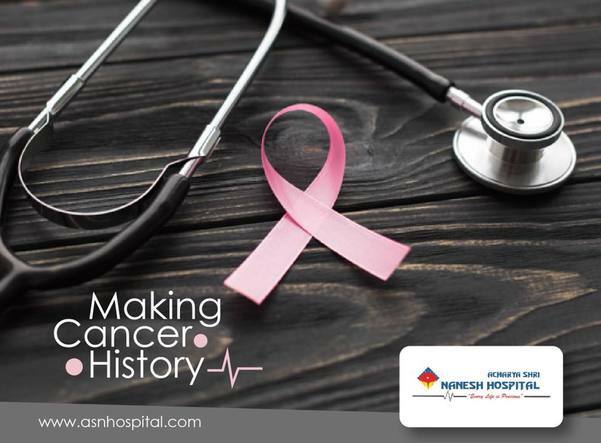 •	Difficulty in swallowing or disturbed digestion Acharya Shri Nanesh Hospital is a comprehensive Cancer Care Centre where services like- Cancer surgeries, Chemotherapy, Cancer pain management, Plastic reconstruction is available.